If your life looks anything like mine right now, wow! We have lots going on around here- both family and farm related. Today and tomorrow we have a ton of people coming by to pick up orders that they will need to feed their families through the holidays. We've had a set of baby goat twins, another baby goat, and a litter of pups. 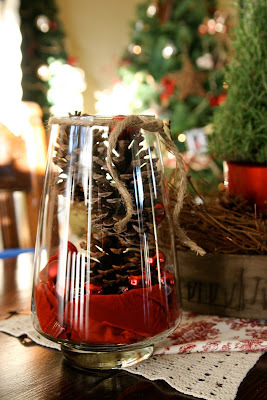 There are a few last minute Christmas things going on around here too- baking goodies, wrapping gifts- all of them, finishing touches on handmade gifts, preparing food for Christmas Eve dinner, packing to go out of town, cleaning up the house so that the house is clean when we return (pet peeve of mine:), and I'm sure there is more I'm leaving out to keep from totally loosing my mind. I'm finding that I'm constantly having to remind myself these past few days that in the midst of striving to do all of this and seeking perfection in all of these things, the very first Christmas was less than perfect in man's eyes. The day was just as the God of the universe ordained it to be in the prophesies of long ago. But, by our man-made standards, the birth of Jesus was less than perfect. 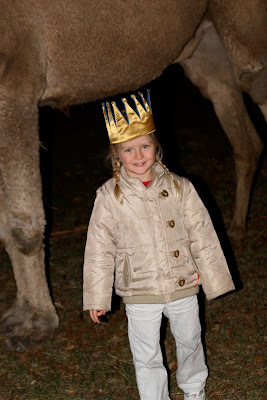 Mary and Joseph traveled an extremely long distance- she on a donkey and Joseph on foot. They traveled away from family and friends at a time when you hope to be surrounded by those you love during the final days leading up to the birth of their child. Everything familiar to them was left behind. Mary was near the end of her pregnancy during this journey which could make for a pretty uncomfortable ride to Bethlehem. Once they arrived at Bethlehem, there was no where available for her to deliver Jesus, but a simple stable filled with animals and probably all of the smells that accompany the animals. What woman dreams of delivering in a barn? There were no midwives around to help with the delivery- just Joseph. And this was during a time in history when the husbands usually waited outside as the midwives and female relatives assisted with the delivery. 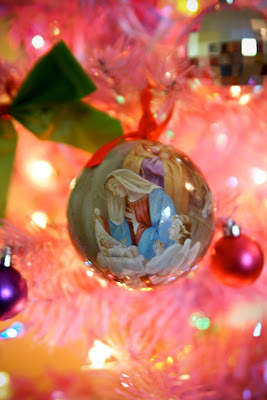 The birth of Christ was celebrated by simple shepherds and wise men who were all complete strangers to Mary and Joseph. And yet, though they were strangers, they all had one thing in common- they were awe-struck by the wonder of the birth of the Savior. These complete strangers knew that the King of Kings and Lord of Lords, was wrapped in clothes in a simple barn before their very eyes. Its so hard for us to grasp. We are bombarded with perfection surrounding Christmas. 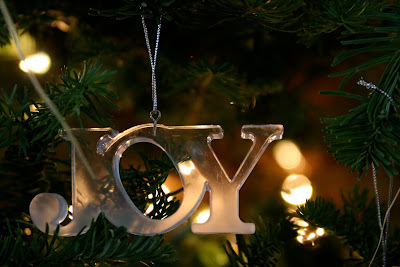 We want to give the perfect gift, create the perfect family traditions, bake the perfect snickerdoodles, decorate the perfect tree, wrap with wrapping perfection, and the list goes on we become more focused on the things of this world than of Christ at a time when we should be overcome with thankfulness. Sounds like a lie of the Devil to me. I keep repeating these truths over and over to myself. Christ came in the most simple way imaginable so that ALL men could relate to him. His birth was less than perfect to man, but just as God had ordained it to be. Christmas is not about perfection, its about showing thankfulness to God the Father for loving us enough to send his perfect son to be born into this evil world to save us, to give us hope, to cleanse us. He wants our focus to be on Him. He doesn't want to share us with this made-up Christmas perfection. 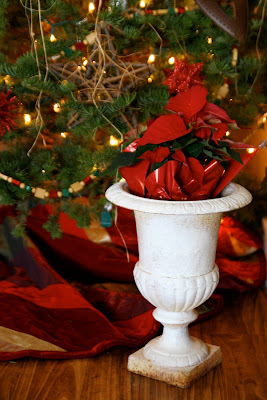 So, if your snickerdoodles don't turn out perfectly, or your homemade bath fizzies fall apart, or you don't get everything accomplished that you think you must- remember that what made Christmas perfect on the very first Christmas in Bethlehem was what was wrapped up in simple cloths lying in a manager. The baby named, Jesus, came to this earth to speak peace into our lives. Emanuel- God is with us! Jason was at the sink last night about to wash a BUCK LOAD of eggs, when Kaylyn came into the kitchen and asked him,"Daddy, will you hold me?" That's code for "I'm sleepy". "Sure. Come here," Jason replied. I found them moments later nestled snuggly together on the couch. 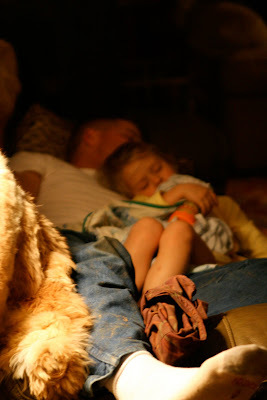 He, in his farm clothes and Wranglers and Kaylyn in her Beauty and the Beast nightgown. Jason is an amazing man. He will drop nearly anything for his girls. I'm not kidding. I had to call him today while he was out in the middle of the pasture to come fish out beef liver from my garbage disposal. Gag me with a spoon! But, this isn't about me. Its about Jason......being amazing. I'm so thankful for every ounce of this man. The Lord is doing an amazing work in his life and I get to have front row seats. Kaylyn will look back on these moments and be so grateful to have experienced this incredible love that only a father can bring to your life. This was a moment worth capturing. 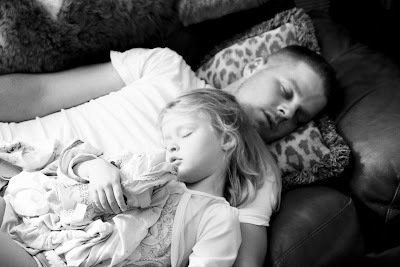 I want to remember when our babies were small enough to curl up on the couch and fall safely asleep in our arms in an instant. I don't want to forget the way their freshly bathed hair smelled pressed up against my face. 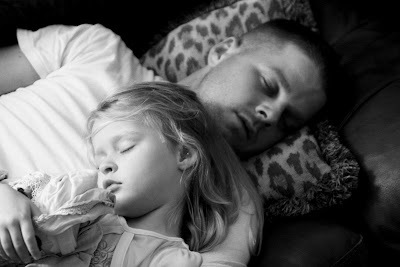 I want to etch in my memory the scene of their faces peacefully asleep dreaming about princesses and ponies. I want to wrap this moment up in a beautifully packaged present so that I can re-open it over and over again to appreciate the wonder of these moments. Here's just a little background. If you know me well, you know I'm always behind on Christmas cards. For some reason, it just ain't working for me to have them in the mail at a decent date. Mostly the reason is because I was busy taking photos of everyone else's family. 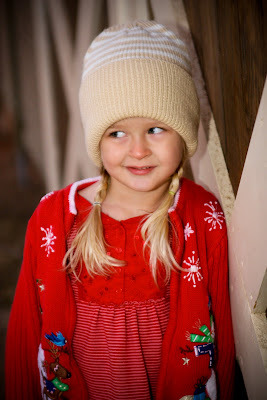 But, this year I slowed my roll on doing Christmas photos and just did a few that I booked way in advance. In year's past, I've included our entire family in the photos and my sister has graciously snapped one of us and endured the chaos. 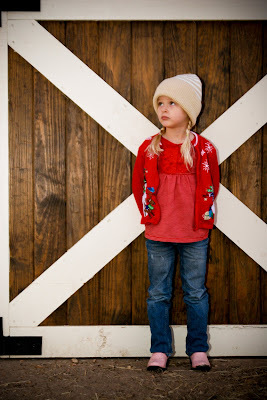 However, this year I decided to nix the chaos, walk to the barn doors seconds from our house, and snap a few of my girls wearing snow hats and cute Christmas sweaters. I had the entire photo session in my brain as I usually do before I go into a photo shoot. I knew what I wanted the end result to be. I wasn't wanting anything fancy. Just a photo of my two beautiful girls smiling and standing next to each other with the barn doors as the background. I was thrilled with my simple plan. Jason was thrilled by not having to endure the dreaded Christmas photo session this year. I kind of secretly was to. I'm awkwardly large right now so it didn't sound very appealing to me either. 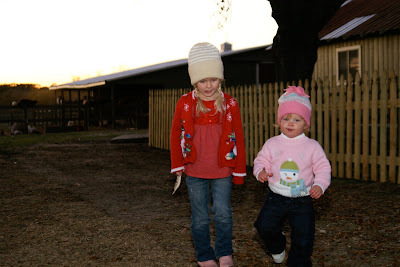 While supper was cooking, we dressed the girls up and headed straight for the barn. It was approximately 5:15 pm. It gets dark about 5:45 pm so we had roughly 30 minutes of daylight left. Photos are the absolute best right before sunset. See, I'm telling you. I was methodically flawless in my strategic plan. This photo madness can best be explained through the lens of my camera as we witnessed the Christmas photo disaster unfold before our very eyes. These photos are in EXACT synchronized order as they should be when telling the order of events. 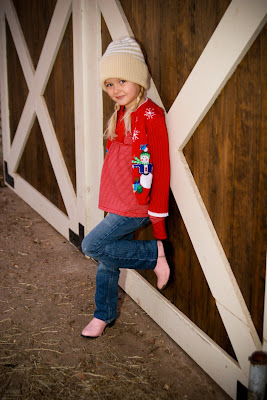 Once we got to the barn, I had Kaylyn in place for the test shot I do to make sure lighting is right. 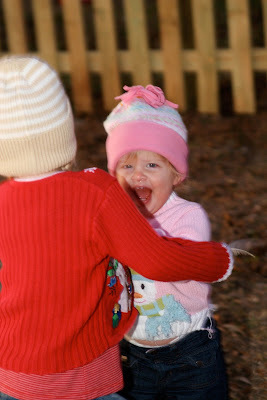 Next, I had Jason simply put Laney Rae down on the ground right next to her sister. I was ready to fire away. This moment, and this moment alone is when it all went to pot. 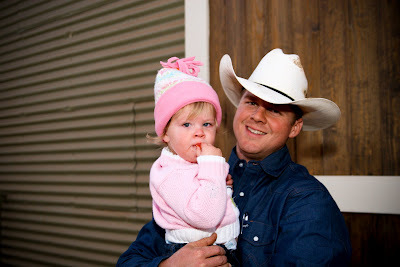 Jason picks up Laney Rae to comfort her so that we didn't have Mr. Streaky Red Face pay us a visit. She is such a daddy's girl! All is well. We gave her candy corn. That makes everything better. Kaylyn- looking confused as to why she is being the good one and not receiving any candy corn. because this is what was happening on the other side of the lens. Jason decided to let Laney Rae "roam" around and let off some steam as she loves to do on any other day of her life except this particular one. 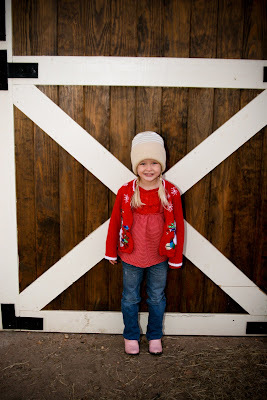 Kaylyn was looking too cute up against the barn doors. I decided to snap some of her and seriously thought for a brief moment. "Okay, fine. This will be our Christmas card photo this year." But, that is so NOT right to include only one member of your family on your Christmas card. Doesn't this photo just scream,"Merry Christmas from the Kramer family"???? Meet Mr. Streaky Red Face! He officially paid us a visit. Once he shows up, there isn't much left to do folks who have fair skinned children. But, for some reason I wasn't fully ready to surrender to Mr. Streaky Red Face. I still thought in my twisted mind that there was still hope of capturing a Christmas photo. My plan B (because a good photographer always has a plan B) was for Laney Rae to do her own thing and for Kaylyn to casually walk up beside her. We were shooting for the "two sisters walking serenely in the sunset beside each other by a picket fence" pose. Brilliant! Not so much. 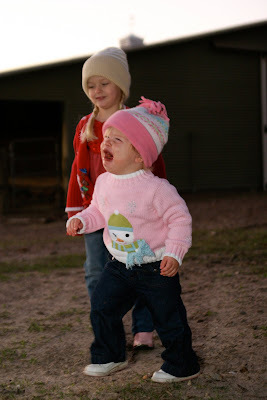 Every time that Kaylyn got near her, she did this little number and took off running. Then it got downright ugly from there. The madness had to stop. Laney Rae was turning to toddler violence- the infamous push the gut. Here is Kaylyn taking one for the Kramer team. From that moment on, the rest of the photos were all a blur. Literally. Laney wasn't still enough for my camera to capture her active body at 5:45 pm. The sun was gone and we were out of light. I'm not a fan of photos with lots of flash and white faces in them, although I'm most certain Laney Rae's face would have still been red in anything close up. Jason and I held our heads in defeat as we walked back to the house. It was supposed to be the most low maintenance Christmas photo session ever. 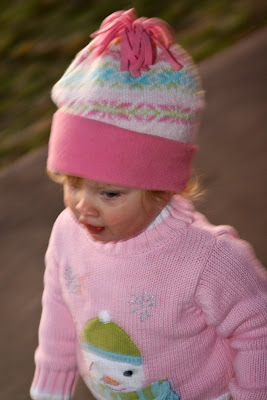 Was it the pink snow hat that threw her universe off kilter? Was it my ginormous off-camera flash that scared her? Did she, in fact, know that candy corn was present in Jason's pocket when he sat her down the first time? Was she mad that the snowman on her sweater was missing a black button eye? We'll never know what went wrong this year. I thought all of these things as we laid in bed that night. I'm still in limbo about sending a card vs. not even sending one. Jason with his sweet fatherly heart said to me as we walked back to the house,"Maybe we can try to get one of all of us later." Later. I'm good with that. As in when Laney Rae is 3. Its a much better age to photograph I will admit. But, it just doesn't seem right that we don't have a photo to go with our Christmas card......if I do in fact send one out. After church today, Jason was in the kitchen cooking (how blessed am I???) and I was cleaning up around the house. I heard Kaylyn say,"Mommy, come and see this!" in the most excited and sweet voice. 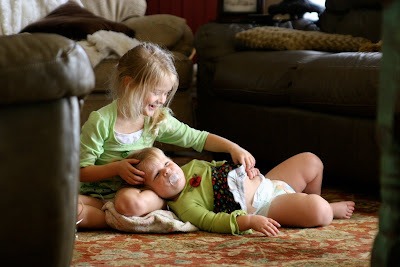 I came around the corner and saw this precious moment- a rare precious moment around here. Kaylyn is our cuddly one and Laney Rae is our busy one. Ever since Laney Rae took to walking, she hasn't really let Kaylyn hold her much although Kaylyn is constantly trying to squeeze in a few hugs here and there. 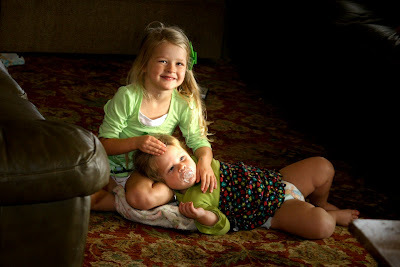 It was pretty special that Laney Rae came and laid her head right in her big sister's lap and Kaylyn knew that. Her face was beaming with delight. The moment lasted all but a few minutes but it meant the world to Kaylyn. I'm one thankful momma. These two girls are so different, yet they each bless my life in words that I can't fully express right now. 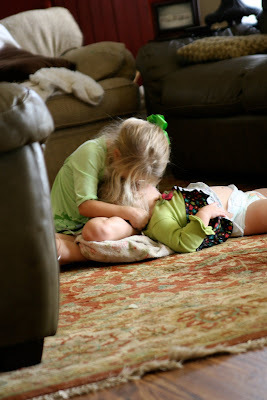 In the midst of chaos and the crazy moments of life that come with the territory of having toddlers, I pray that I remember moments like this- a peaceful and precious moment. KK giving Laney Rae kisses. And then the tickling began! I don't know about you. 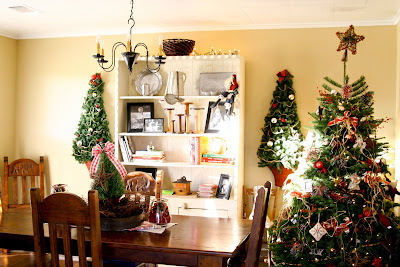 But, I love decorating for Christmas! 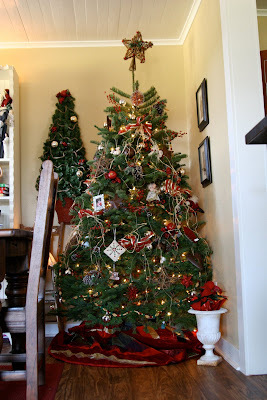 I love decorating for Christmas so much that I leave them up until the next holiday- Valentine's Day. I remember our very first Christmas as a young married couple. We were major ballers on a budget......MAJAH! 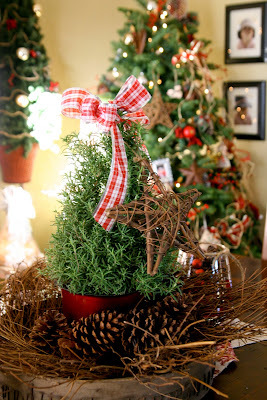 We had been saving up for a Christmas tree and finally had $25 to go and buy a small real tree. On our way to the local grocery store to pick out our tree, we passed by Casa Ole'. Jason and I had a thing for Casa Ole'. We didn't get to go out much in those days. It was a real treat to us. I spat out,"You know. I don't think anyone but us will see our Christmas tree. We don't have anything to put on our tree either. I guess I need to get ornaments too. That will end up being way more money than what we were planning," as we passed by Casa Ole'. I had Casa Ole' on the mind. I was thinking real straight. "Yep. You're right. I'm hungry," Jason said back to me. He was picking up what I was putting down. "Want to eat at Casa Ole' instead?" Jason spoke these words of genius to me. Pure genius, I tell ya! 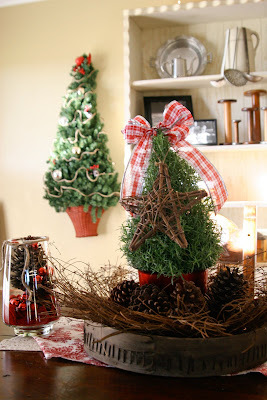 I was wanting so badly to be the cute wife on our first Christmas and have our home decorated. But, my love for food got the best of me. Good thing my husband was thinking straight too! "Sure." I said back to him. Who needed a tree that wasn't even going to be seen? We were spending Christmas with our families away from our tiny little apartment. Needless to say, our first Christmas together we did NOT have a tree. I've never regretted that decision not once. When you are on a budget, you know what your priorities are. And green sauce was definitely a priority. We probably even had queso and sweet tea that night with $25 in our pocket. I had a slight pause in writing this post. Jason and I attempted to take a few photos of the girls for the ole' Christmas card that I feel obligated to send out every year. It was awful. I'm totally stressing. Christmas photos are pretty much awful for our family every year. Almost 2 year olds and photos don't really go well together. More on this later. Just know- it was bad. Really bad. 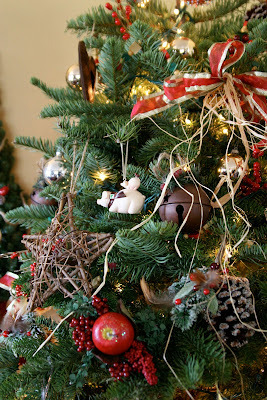 Back to Christmas and lovely things. Ahhhhh, that's much better. I realize this post is all over the page. But, stay with me. I'm going to be quiet now and just post some photos. Our new family ornament this year....hee, hee! 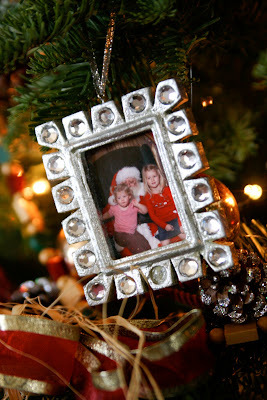 I let the girls pick out ornaments for the tree every year. This was something my family did when I was growing up. Since Laney Rae doesn't have an opinion this year, I chose this one for her. 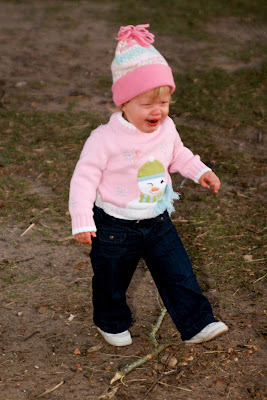 She is so joyful.....unless you are taking Christmas photos of her. 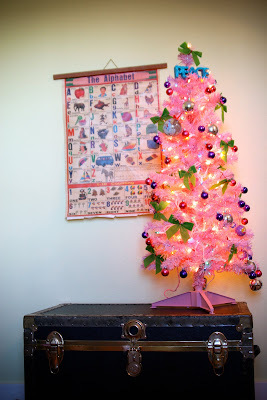 This is the girl's Christmas tree. Kaylyn chose to go pink this year. Theirs from last year broke so we needed a new one. This is the ornament Kaylyn chose all by herself. 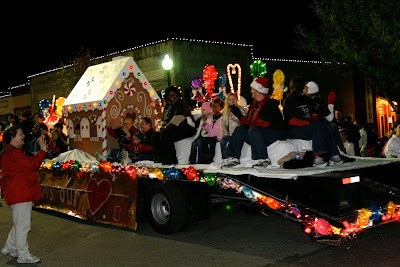 Brenham has a Christmas parade every year. 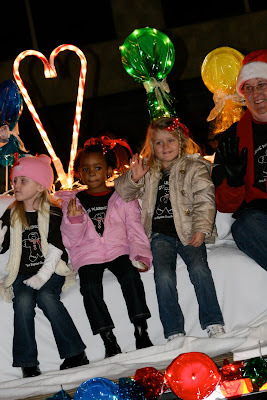 This was our first year to attend and experience the parade. Everyone goes all out on decorating their floats. I'm guessing its a big deal as most things are around here. There were about 50 floats total all decorated beautifully. The more we do things around Brenham, the more we fall in love with this place. We sat on the courthouse lawn with the most gorgeous downtown lit up and towering oaks wrapped in white lights. The night was perfect! We were surrounded by family and friends. Grandma, Pops, Tio, Tia, Ava, Aunt Debbie, Megan, and the Robinsons were all there. And what made it even more special is KK got to ride on her school float. She got to sit right next to her BFF! Kaylyn was adorable and had quite a crowd there cheering and waving to her. The night before the parade we drove to College Station to hang out with the Hendricks (Jason's sister and her wonderful family). 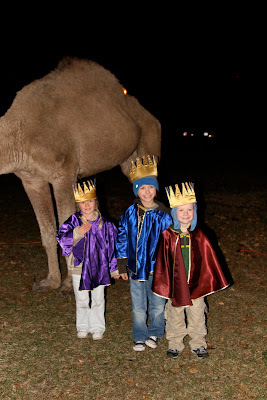 We visited a living nativity and park covered in lights. 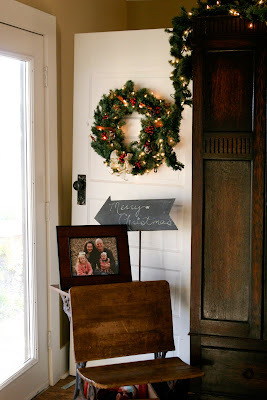 Then we went back over to the Hendrick's house for hot chocolate and family worship time. We had a blast and a special time talking about the birth of Jesus with them. Kaylyn adores her cousins with every ounce of her being. This year has already been so sweet preparing to celebrate the birth of Jesus. Jason and I really wanted us to focus on doing things as a family this year and starting some traditions that will carry on for years to come. We don't do the Santa thing on Christmas morning in our house. But, we also don't blab to Kaylyn that Santa is a big fat phony who doesn't exist so that she then blabs to all of the other kiddos on the playground at school. Santa is just a fun character in our home. Nothing more- as in, not the meaning, magic, or reason of Christmas. Nothing less. 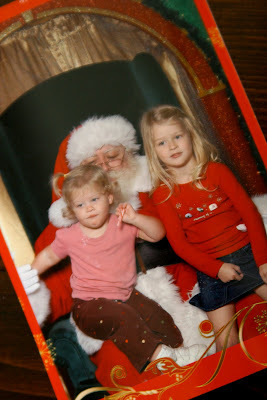 So, sitting on Santa's lap for the girls is like sitting on Barney's lap or Dora's lap or Teddy Ruxpin's lap. My mom and I like to take the girls to the mall every year and get their picture taken with Santa as something fun to do and remember. But, this year was summed up perfectly by capturing the above photo. Kaylyn was excited to get her picture taken with Santa. She walked right up to him and sat in his lap. Santa proceeded to ask Kaylyn,"Little girl, what do you want for Christmas?" Kaylyn looked up at him confused. "Ummm. I don't know." We've never asked her this question so you can understand why a strange bearded man in a red suit asking her this threw her for a loop. 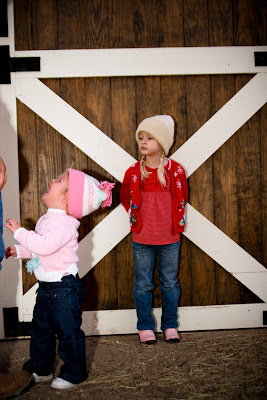 Laney Rae on the other hand wasn't quite feeling Santa. I told the photo girl to be ready to snap right when I sat Laney Rae in his lap. But, she didn't head my advice. I guess it had something to do with wanting to give each child their "moment" with Santa. Mine didn't need a moment. We just wanted a cute photo opp. Instead, we got the above photo. all with people impatiently waiting in line and staring at this flustered momma to even achieve the one we went home with. The photo girl kept saying,"Do you want to just come back later?" 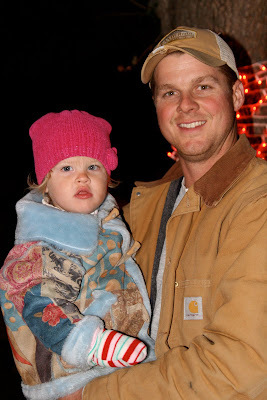 But, I was thinking on the inside,"I wanted you to push the button as I released my child into Santa's lap. But, that didn't happen now did it. And here is the outcome of that poor poor decision. Laney Rae has now discovered that she thinks she is terrified of Santa and I need a shower and chamomile tea to calm it on down." And lets not forget to mention Santa during this episode. He was terrified of Laney Rae. Can you tell by his face above? Isn't Santa at the minimum supposed to be smiling in the photo?? I'm sure he didn't appreciate the royal fit Laney Rae was throwing on his fuzzy red lap. Kaylyn on the other hand was sitting pretty and looking like a Christmas angel the whole time. She was the only one who had composure and pose the entire time. I am framing this photo. I am also placing it in an frame ornament on my tree. You pay like $50 for 3 pictures, so you better believe we will display this fine piece of photographic art. I love a photo with a good story. Any mall Santa drama out there? Do tell. Here is my belly- and my non-smiling self! I truly am thrilled to have a baby in my belly. I was concentrating extra hard on holding the camera just so. And it took me about 27 tries to get it right. I am 13 weeks and feeling wonderful. I seriously can't believe I'm feeling so good at this point. 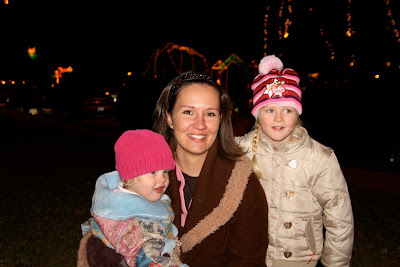 With the girls, I was still living in a state of nausea. So, I'm thankful! 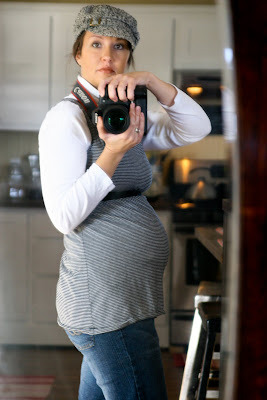 I'm excited to have my belly documented on this blog. 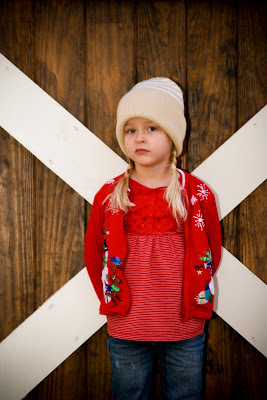 We did not have a blog until Laney Rae was born the last go around. This third pregnancy has blossomed much earlier than my other two. I've heard that happens. My belly looks like it did with KK and Laney Rae at 5 or 6 months. My doctor told me not to get offended if people start saying things like "Honey, looks like you are about to pop!" much sooner. I won't. I like showing early. It explains the reason why my face looks giant. 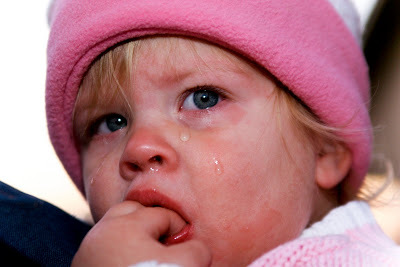 My tater tot craving has disappeared. I'm not really having strong cravings anymore. As a result, our eating is pretty much back to normal. Jason is mucho thankful for this. He put on lots of weight with our other two. He likes to call it his "sympathy" weight. Isn't that funny he has a term for it? I need to get one of those baby ticker counting dillies up on the blog so I know how far along I am. I never know when people ask. I don't write down every week on the calendar. That's awful, but I'm just not good with that. I usually document things using the month system. The weeks are too much to keep up with. I have a funny Christmas story brewing. I will post about that soon! I'm surprised I even remembered my password to log onto my blog. I'm sure this post will be all over the page since I haven't written in a while. Here we go! If you are reading this, thank you for not giving up on me! Its been awhile. And its not because I have nothing to say or nothing going on. It's quite the opposite. 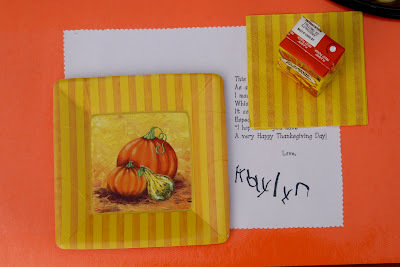 I'm so behind on journaling our lives, I'm just going to start with Thanksgiving. I'm just now realizing that I didn't even post pictures of the girls on Halloween. We do go out and get free candy door to door. I just forgot to post pictures of them. 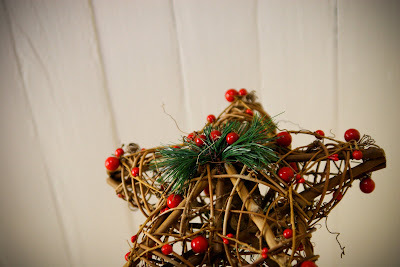 Okay, so onto to Thanksgiving so I can start writing about Christmas stuff once I get this post out of the way. We had an incredible Thanksgiving.......and I didn't even take a single picture. I think it was probably because we had 50 people out at our farm for Thanksgiving. I was a little busy:). Everyone was so wonderful. They brought all kinds of food and we most definitely had plenty to eat. Thanksgiving was a mixture of families and friends. Nothing, and I mean nothing, thrills me more to have a house full of people. I'm all about it. Here is something that I HAVE to get better about. I'm not doing much photography professionally anymore with all sorts of stuff going on in our lives. But, I must get better at capturing my family, holidays, and just life really. I was at one point doing great, but something happened. I'm not quite sure. 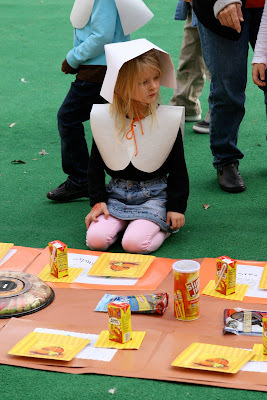 Kaylyn had a school Thanksgiving feast. I did manage to get photos of that whole shin-dig. They got to feast on all sorts of snacks. I don't know the rules of posting non-related or friend's children without parent's permission and such, so I'm just going to stick with putting pictures up of my kiddo. 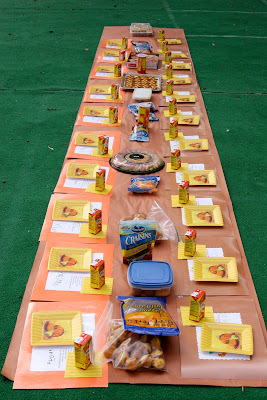 So, imagine this giant feasting table filled with about 24 pre-K kiddos. 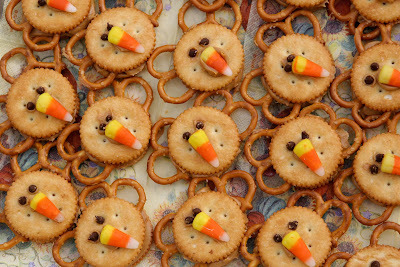 Turkey treats I made. There is in fact peanut butter in the middle of these! Yummy! 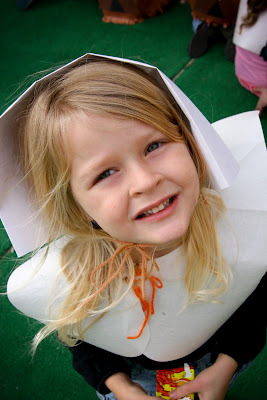 My precious pilgrim. Here is something you should about my daughter really quick. She UN-FIXES her hair at school now. We fix her hair so cute in the morning before school and the next time I see her, we've got hair all over the place. I've yet to understand this but it must stop! I like my girls to have their hair did......that's right, hair did. As for my pregnancy, things are going amazing! I am feeling wonderful as of this week. I'm beginning my second trimester so that must have something to do with it. There will be a belly shot soon! I'm most definitely certain its not a pot belly. We find out on January 19th what the Lord is blessing us with. I must find out! Farm life is super busy right now. We are in full-swing. Our farm now offers a complete variety of products- pork, chicken, beef, and eggs. That has helped business pick up tremendously. We feel so blessed that the Lord is showing favor to this farm. He is bringing people to the farm and to our delivery groups all around Houston. We have one delivery a week in various parts of Houston. Okay, I'm going to stop here for now. But, there will be a new post soon!